>Could Alternatives Ease the Misery of South Africa's Housing Crisis? Millions of South Africans—about 13.6 percent (PDF) of households—live in shacks waiting for the government to provide long-promised housing. 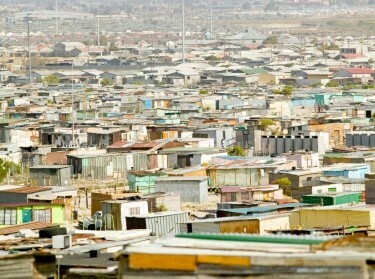 Many shacks lack running water or sanitary facilities, are too hot in summer, too cold in winter, and leave residents susceptible to flooding, fire, disease, crime, and vermin. Yet, at the current pace, it could take decades for the government to eliminate the housing backlog, estimated at 2.1 million units. These possibilities, many of which offer advantages over traditional construction, include the "Light House," "iShack," "Green Shack," and housing made from sandbags and shipping containers. Such alternatives are worthy of consideration. The Light House offers a story of public-private partnership and problem solving. When the city of Cape Town pushed residents from a shantytown to a temporary relocation area to make way for formal housing, Xoma Ayobi, a resident and herbalist, refused to move. Around his shack home, he had built gardens for his herbs, vegetables, horses, dogs, and chickens. He balked at leaving these for the crowded, basic shelters in the relocation area. Seeking to avoid litigation and scandal, city officials reached out with a challenge to Stephen Lamb, a local designer with the group Touching the Earth Lightly: build a house acceptable to Ayobi for no more than $5,000-the cost of a typical shelter in a relocation area. In consultation with Ayobi, Lamb designed a two-floor home with a shower, toilet, vertical garden and chicken coop, as well as flood-resistant and fire-retardant properties. It was assembled on site in two days. Lamb says the cost of each of his Light Houses would fall below $3,000 if they were mass-produced and their materials could be acquired wholesale. He has also prototyped a "Green Shack" designed to resist fire and flooding and to improve food security and insulation. Meanwhile, post-graduate students at Stellenbosch University developed what they call the iShack, or improved shack, another effort to make existing shanties more livable. The team outfits shacks with rooftop photovoltaic panels to generate electricity for lights, cellphone chargers, a refrigerator, and other appliances. Homes are reoriented to face north and provided with roof overhangs and a clay wall for temperature control. Other low-cost features include fire-retardant paint, a gutter, and a means of catching rainwater. New iShacks cost about $650, while adding the upgrades to existing shanties costs about $50. iShacks do not qualify for government housing subsidies, but the project team hopes residents will soon be able to access a basic electricity subsidy. (That subsidy has historically only been used for grid electricity, but the South African Department of Energy has signaled its openness to applying it to solar home systems). 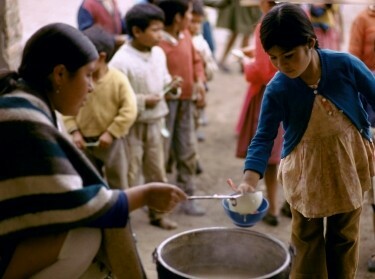 The iShack project is expanding with the help of a $250,000 grant from the Bill and Melinda Gates Foundation. Besides these two examples, there is a long list of recent pilot projects that have demonstrated pragmatic, low-cost housing solutions, such as sandbag houses and homes made from recycled shipping containers. 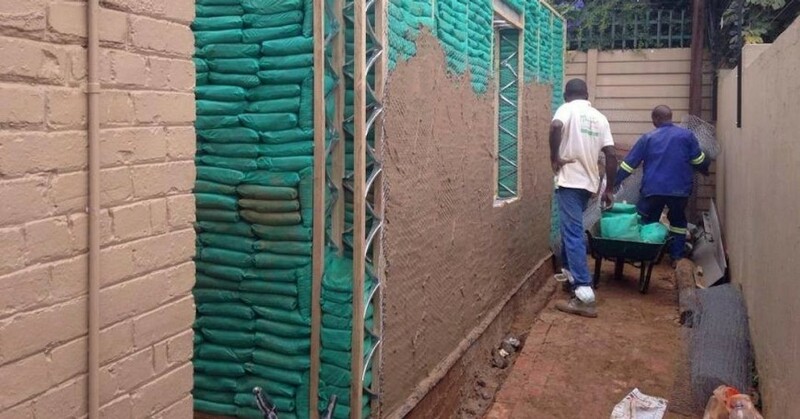 Sandbag houses—inspired by temporary units commonly deployed by militaries—are gaining use across Southern Africa. These dwellings are waterproof, fire resistant, soundproof, bulletproof, and even earthquake resistant. They have excellent thermal properties. A crew in a dump truck can deliver sand and community members get hired to fill the bags. The houses go up cheaply and quickly, while unskilled workers get much-needed jobs. The technology has been approved by several regulatory bodies and won numerous awards. Still, Arn Silvester, whose company Eco Building Systems makes sandbag homes in South Africa, told me public housing programs have yet to embrace funding for alternative building methods. Paul Hoffman, an attorney for the Institute for Accountability in South Africa and the Concerned Citizens Group, told me in an interview that it is unacceptable that people spend decades in appalling conditions waiting for formal housing when there are resources available for incremental solutions. He said he plans to invite government officials to visit some shantytowns and temporary relocation areas, the Light House and possibly other low-cost housing demonstrations. He hopes the tour will encourage the government to change its approach and consider low-cost alternatives that could be provided more quickly. The South African government is required to respect, protect, promote, and fulfill the rights of all South Africans to access adequate housing and to achieve the progressive realization of those rights. Encouraging the use of alternative housing technologies is a step toward that goal. Julia Pollak is an assistant policy analyst at RAND and a Ph.D. candidate at the Pardee RAND Graduate School. 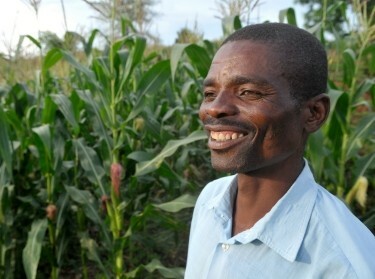 This post was written for the Pardee Initiative for Global Human Progress.